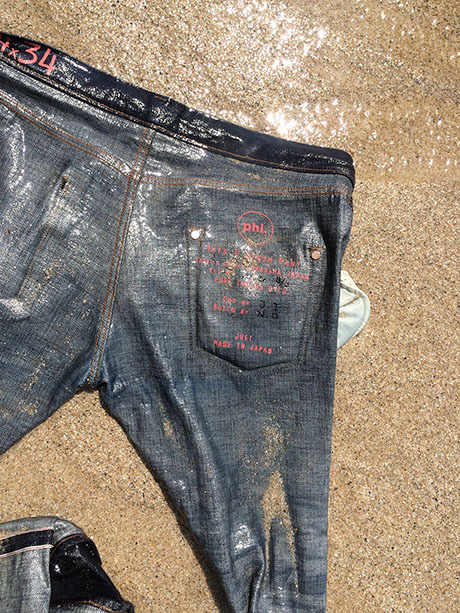 We highly recommend washing your jeans in the ocean. 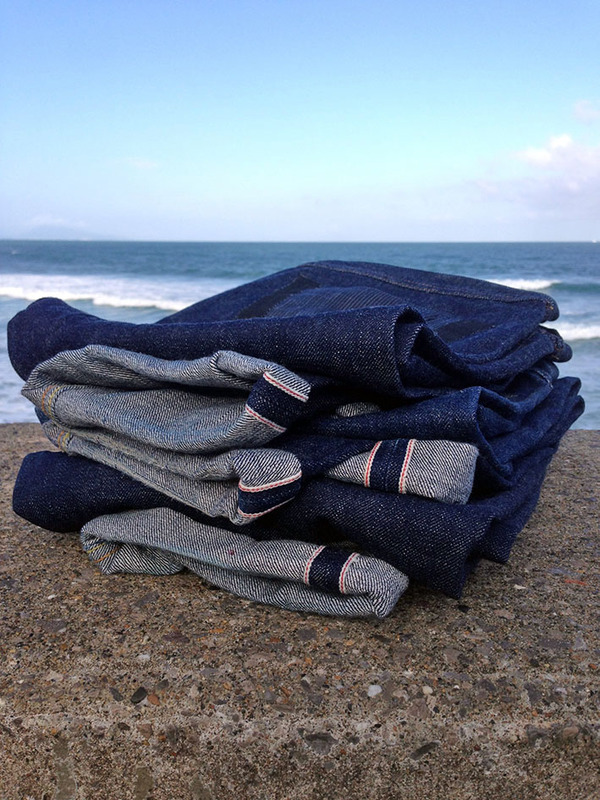 This will in turn, help to preserve the indigo tint of the denim. 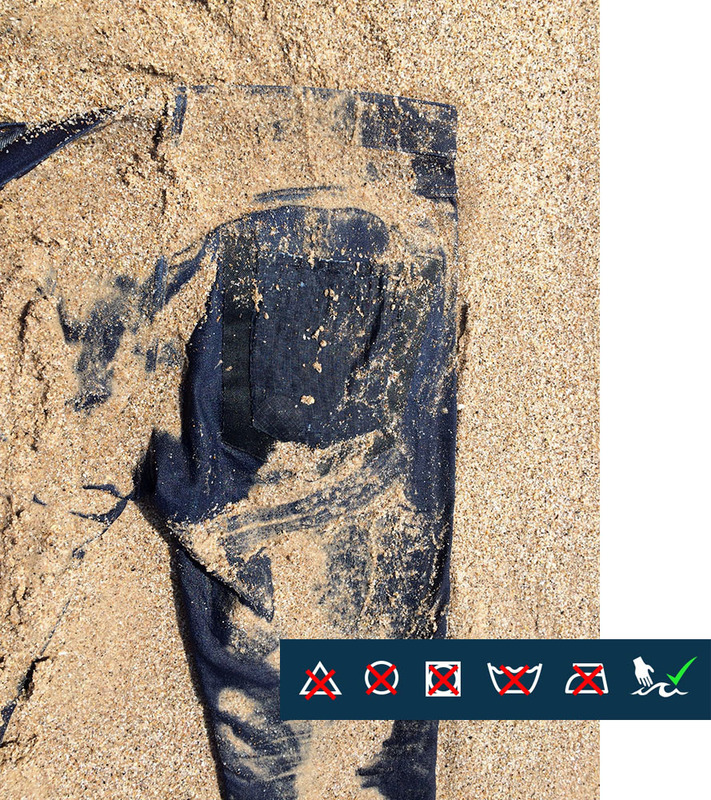 Thanks to the process of washing your jeans in the salt water of the ocean mixed with sand, this will allow you to control the wear of the fabric. 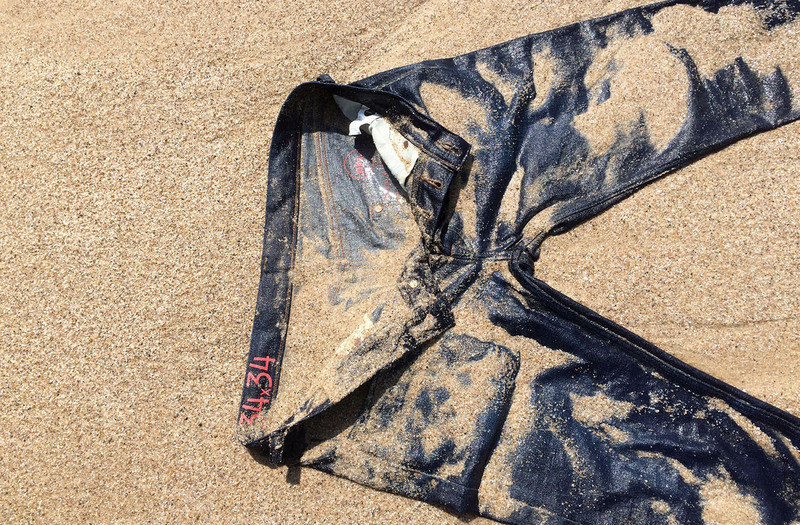 A classic denim jean reinvented. A relaxed fit with tapered legs and a unique and limited style.